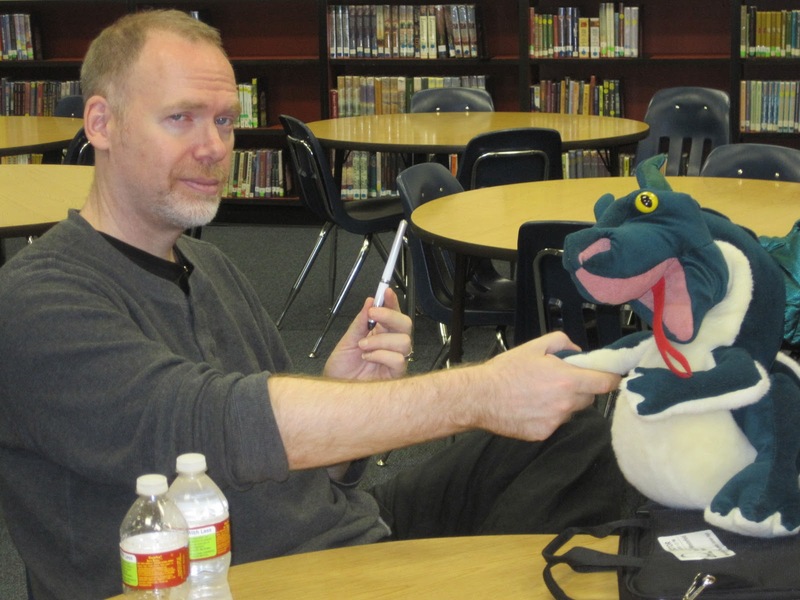 Thank you also to the students who told Westerfeld not to worry about shaking Dragon's hand because "he doesn't breath fire," and then laughed! I love the photo. What a wonderful visit! Wow, wow, wow, wow! You lucky ducks and dragons!! Thanks for sharing. I love the looks on the faces of kids when they are excited about something, and their imagination has been stirred! How awesome that they get that opportunity!